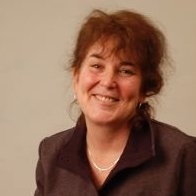 Historian and journalist Catherine Tumber is currently a visiting scholar in Northeastern University’s School of Public Policy and Urban Affairs, a fellow with the Massachusetts Institute for a New Commonwealth Gateway Cities Innovation Institute, and a Penn Institute for Urban Research Scholar. She holds a doctorate in U.S. social and cultural history from the University of Rochester. Tumber researched and wrote Small, Gritty, and Green while a research affiliate with the MIT Department of Urban Studies and Planning’s Community Innovators Lab, from 2009 to 2011.